Ever reached the point where you just can’t face bevelling another blue brute PVC pipe or fitting with a sander? If so, you’re not alone. The creator of the Brute Beveller has been a plumber for the best part of 35 years, during which time he’s installed thousands of metres of blue brute PVC pipe and fittings. The Brute Beveller cuts bevelling time from 5-15 mins down to a mere 20 seconds or less. 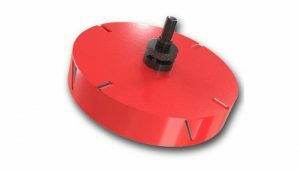 It simply attaches to your drill and bevels in one simple step, with the creator claiming it to be faster, easier, cleaner and most importantly safer, thanks to overcoming the need for grinders.